A new 1-minute video on agile/Scrum was published today. 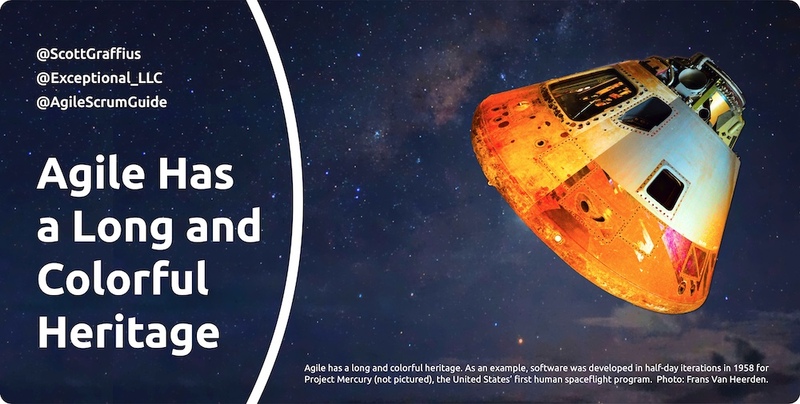 Agile Has a Long and Colorful Heritage is live at https://vimeo.com/259429846 (and it can be played below). Many innovators and visionaries have advanced agile—which includes Scrum—principles and practices over time. 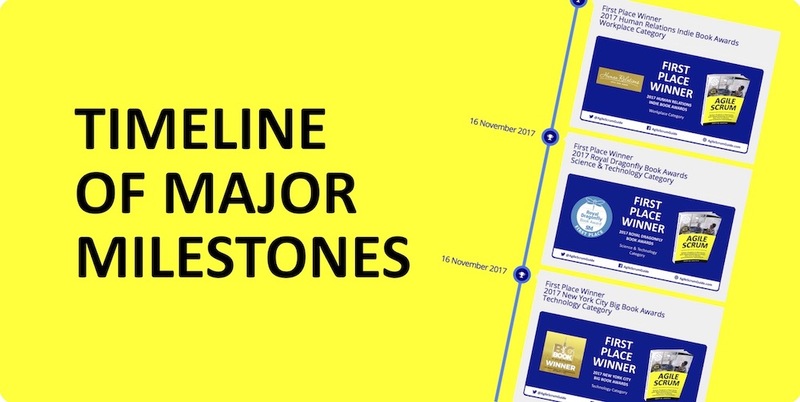 Agile Has a Long and Colorful Heritage: A Timeline Infographic from Exceptional PPM and PMO Solutions™ illustrates via specific examples how agile has progressively evolved. The downloadable infographic is located here.